We got married in Malta in a beautiful palace, which had a really pretty garden, with 16 of our family. It was really special. We had great weather and a great planner. It was definitely the right way to get married for us. so much less stressful than having it at home. Here is the card I made for my husband. 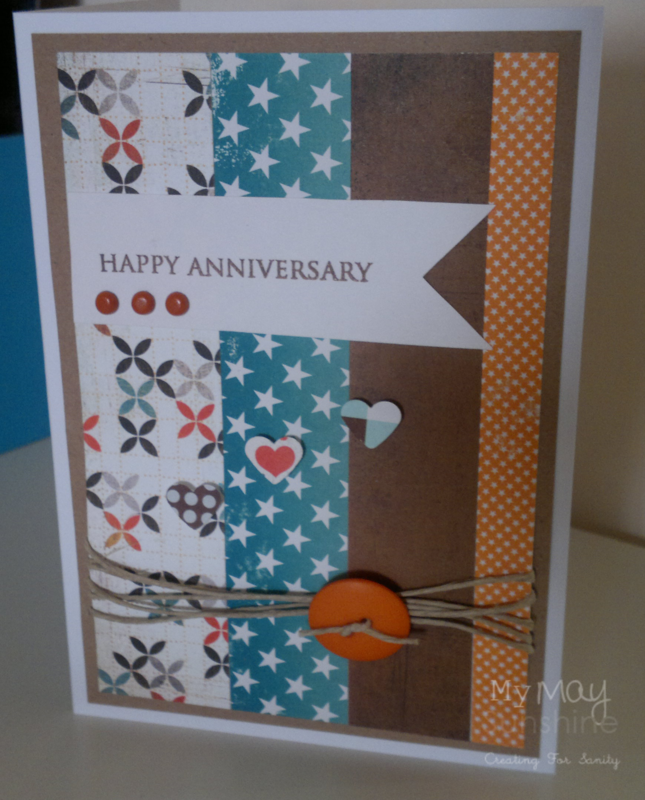 For the card I used the Basic Grey Max and Whiskers papers and the Making Memories Just Chillin – boy papers. The stamp is from Hero Arts and the button is from American Crafts. Next Post Stylish Blogger Award.